This is an absolute outstanding dish. 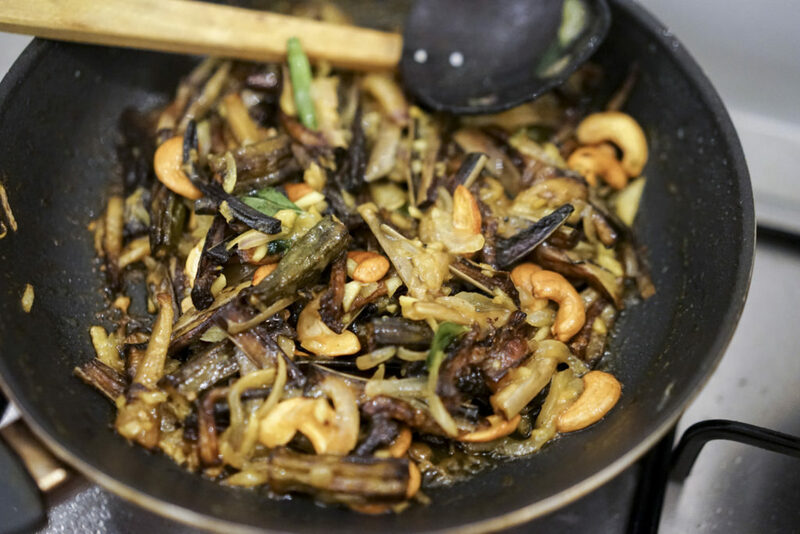 The coconut milk, the palm sugar and the fried aubergines are a combination made in heaven. Here our notes … we tried it once so far and were not yet convinced – we will have to improve. 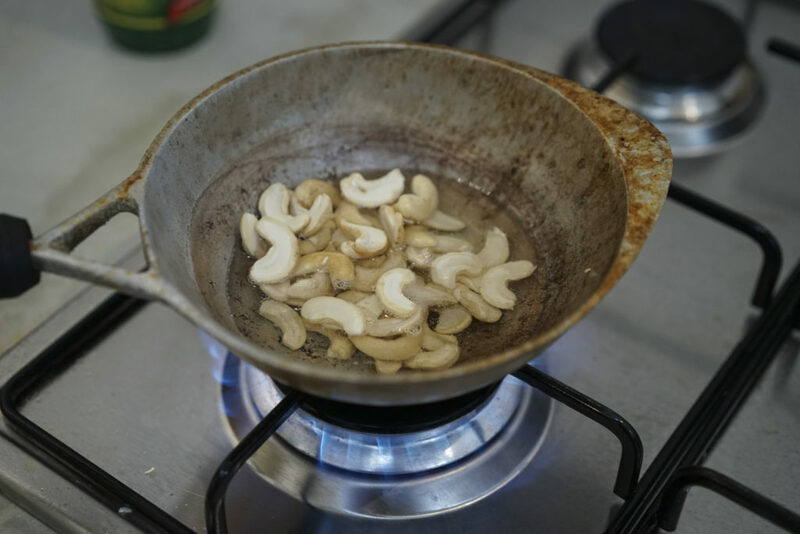 Fry the cashews and set aside. 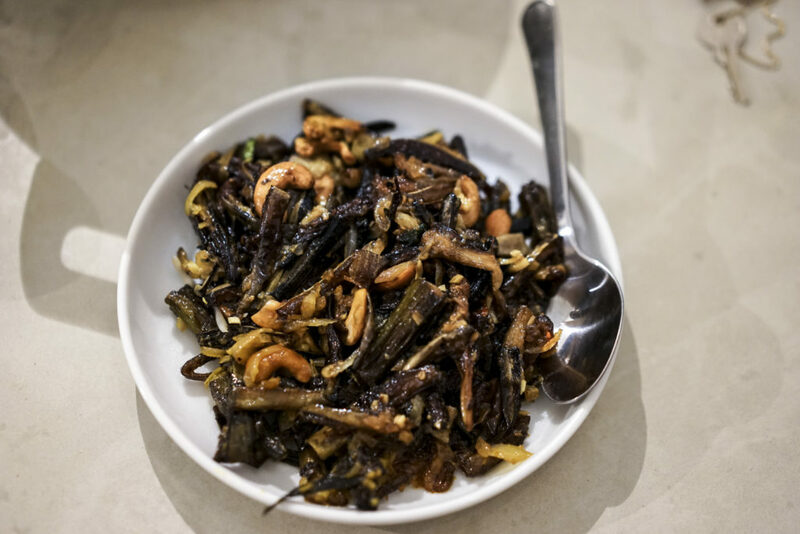 Cut the eggplant and ladyfingers in small chunks and fry in coconut oil. Fry lot’s of thinly cut onions, ginger and garlic in coconut oil. Add turmeric, curry leaves and pandan leaves ( finely cut), sugar and coconut milk *. Add the vegetables and cashwes and season with salt and pepper. *mala grates fresh coconut and “washes” it with lukewarm water. This water she uses for cooking.